Monica McGurk, chief revenue and ecommerce officer at the Kellogg Company, will present “Navigating Culture and Complexity” at the West Los Angeles Graduate Campus on Tuesday, January 29, at 4 PM. The discussion is part of the Center for Women in Leadership Executive Speaker Series at Pepperdine Graziadio Business School. 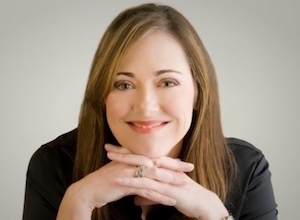 Known for her inspirational people leadership, McGurk will share her unique insights from a career journey of success. McGurk has spent her career at the intersection of strategy and ambiguity, helping global consumer companies and their customers navigate change and accelerate growth. Prior to joining Kellogg, she served as chief growth officer at Tyson Foods, and was senior vice president of strategy and ecommerce at Coca-Cola North America. McGurk was a principal at McKinsey & Company, where she utilized her expertise in product development innovation, marketing, organizational design, and culture transformation to deploy technology to unlock human potential. A graduate of Harvard University and Stanford University, McGurk servers as a director on several boards and was part of a founding team who launched a startup focused on big data analytics. For additional information about this free event, visit the Pepperdine Graziadio Business School page on the Engage website.